It’s a week later. The dust has settled and it’s a good time to think about what happened in the election. Let’s imagine it as a marketing contest and see what lessons we can draw. Of course in this contest Jeremy Corbyn would be the man on the podium collecting the effectiveness award. His campaign saw the most significant increase in market share and the biggest jump in brand consideration. And that should excite all of us. In a world of increasing complexity and transience he kept things simple, and followed some old but important rules. Sure Labour used some clever social media tactics, but they weren’t the killer move. Despite what the marketing press will tell you! Jeremy did something much more substantial and more decisive and he did it everywhere he went - on the streets, in front of the cameras and on social media. An audience of fiercely loyal supporters. And with a loyal crowd behind you, you can do anything. And in the end it was the crowd that changed everything for Jeremy. He wasn’t after voters, he was after supporters and cheerleaders. And these days they are a much more valuable and important audience. Because Jeremy understands that we are all naturally drawn to a crowd. We want to feel a deeper connection with the people around us, we want to feel included in what other people are doing and we want to feel excited by the energy that a crowd creates. You can’t beat the crowd but you do want to join it. Politics has become a pragmatic and passionless place. It’s led by researchers and strategists who focus on the rational and the swing supporters. But emotional trumps rational in almost everything we do. It’s 90% of our decision-making process. Sure Jeremy’s team devised election pledges that were calculated to appeal to the will of the crowd, but most people can’t remember them and many were discredited by experts “they didn’t add up” but it didn’t matter, because Jeremy was creating a movement that seemed exciting. Jeremy focused on the people whose passion he could stoke. He didn’t chase the swing seats, he went to where people were already aligned to his thinking and it made his campaign seem bigger, stronger and more powerful. Because his supporters were cheering and shouting not just nodding. And they were advocating him in the pubs, workplaces and in the streets. This is an important point in a world where Byron Sharp is commonly lauded. The modern marketer is constantly chasing reach, using social media and the latest digital tactics to get their message out to as many people as possible. To fight churn by constantly bringing new people in. Marketing tactics and platforms are constantly changing, which makes it much harder to build an on-going dialogue and an audience. It’s transient and does nothing to foster loyalty. But in a world that is moving ever quicker, with ever more distractions, you can choose to continually compete with the rest or you can try do something more meaningful for a common audience. Build a relationship with the people who are important to you. Jeremy stood for something that was easy to understand and his supporters could get passionate about. And Jeremy’s supporters did get passionate through their T-shirts, social media feeds, their voices on the streets and in front of the TV cameras. They did the biggest job in recruiting new supporters. What was unacceptable before the election suddenly became acceptable. They made it so. By the end of the year, you can bet Jeremy will be the last man standing in British politics with the biggest and most valuable base. In a transient and ever changing world it’s a good lesson for everyone in marketing. Stand for something and focus on your base supporter. If you can get them behind you, you can achieve much much more. 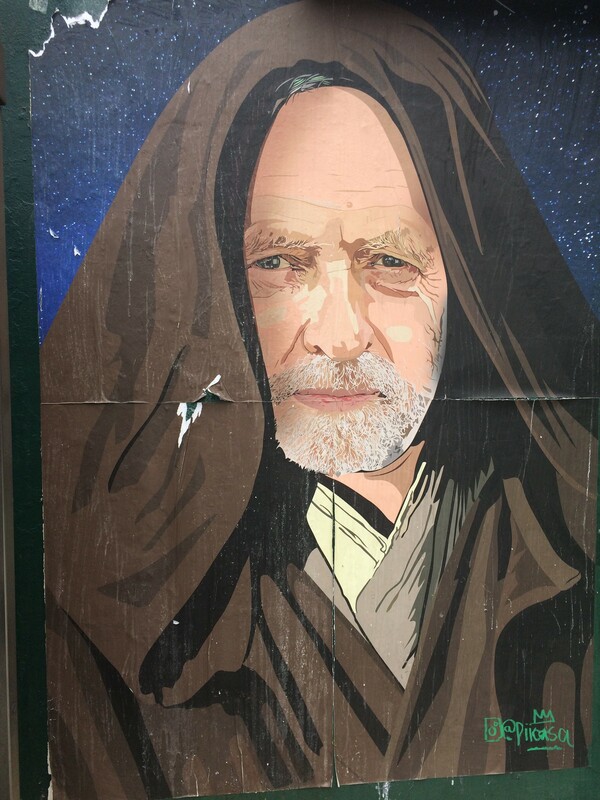 Below is a un-official campaign poster created for Jeremy Corbyn posted just round the corner from our office. The most effective media I spotted during the campaign wasn’t created by official sources, it was created by the Corbyn fans. This piece was written by Ben Kerr, CSO at Somethin' Else. Follow him @digikerr. Our CEO Gemma Greaves shared her thoughts with The Drum on the general election. You can also read Six lessons from the election, by Marketing Society Global Ambassador, Hugh Burkitt and Behavioural science in politics, by System 1 Research's Tom Ewing.